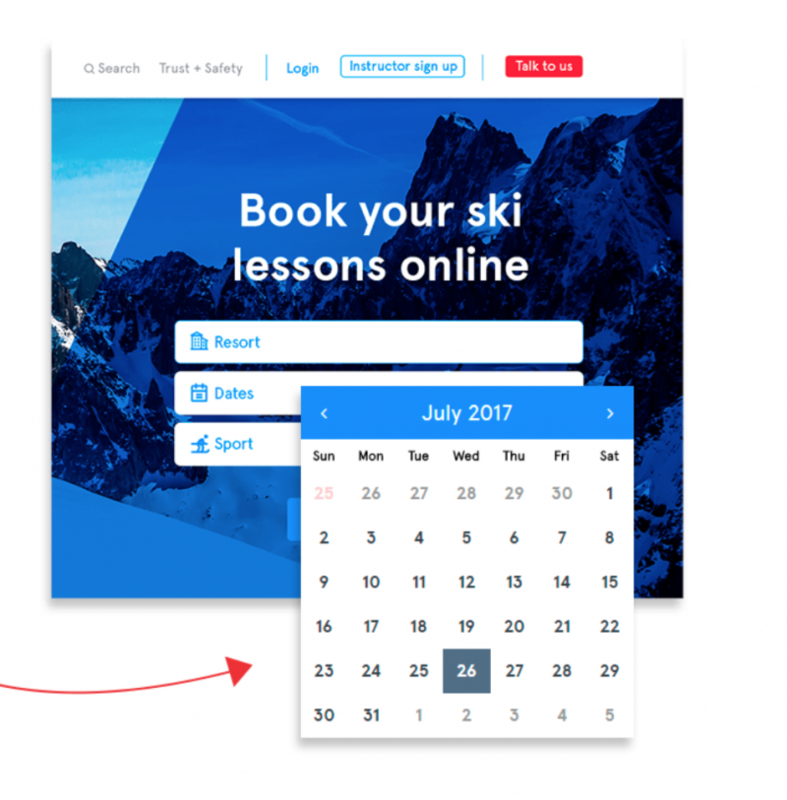 Booking your group ski lessons through Maison Sport is a great way to guarantee quality lessons at a great price. 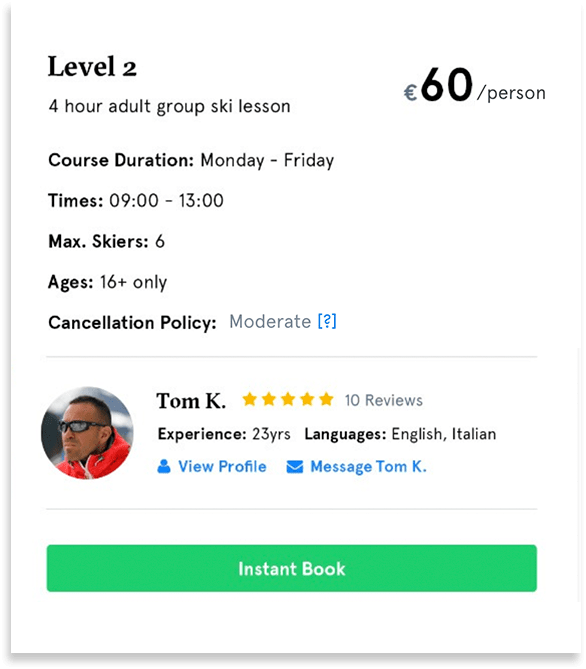 You have the ability to choose not only the group lesson type but also the instructor taking the group, using their profile and real reviews from previous customers experiences on Maison Sport. With no ski school in the middle of the transaction we aim to deliver the best priced product on the market. Search – Search results are tailored to the resort you're visiting, the dates you will be there and whether you want ski or snowboard lessons. Choose your lesson type – Choose 'Children's or adult's group lessons' and then let us know your preferred language and ability level, we will then recommend a choice of fully qualified instructors that will suit your needs. Choose an instructor you like – You will have a variety of time options including 2 hour, 3 hour or 4 hour morning classes. You can choose a group you like the look of based on the instructor taking the lessons, the age range and maximum number of people in the group. Message the instructor – If you have any questions you can message the instructor directly, alternatively the Maison Sport customer service team is always on hand to answer any of your questions. 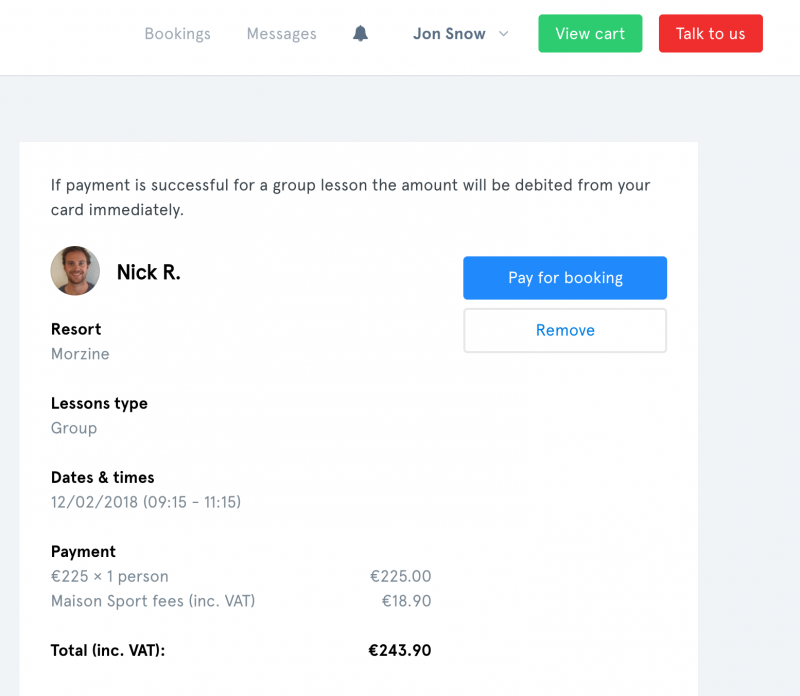 Book – If there is already a group lesson running then you can book in to it instantly, if not, then you can request to book in to a group. You will enter your card details and if the instructor accepts then payment will be taken. 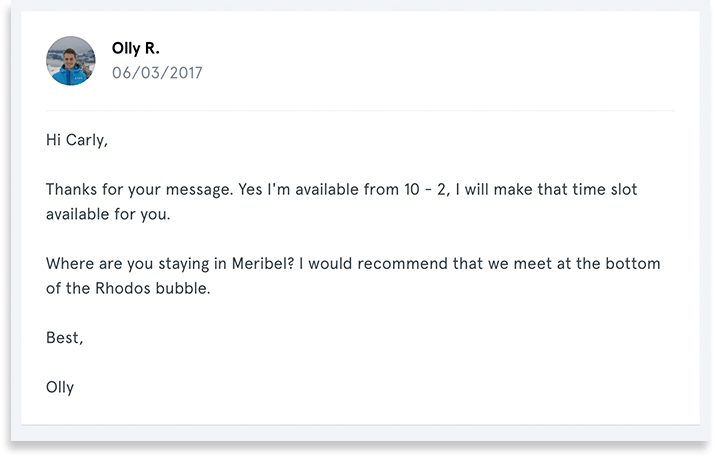 The group will then be available for other customers to book in to instantly. Enjoy your lessons and leave a review – As you have chosen your own instructor you will have a more enjoyable and productive lesson! 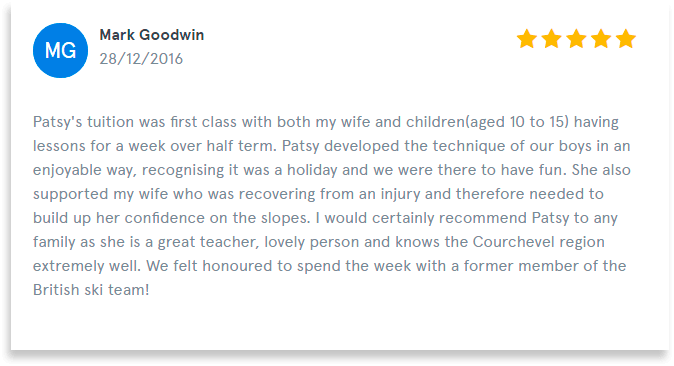 Make sure you leave your instructor a review once the lesson has been completed, as this will help other customers decide on who to ski with.